Because I’ve raved over Notgrass History so often on social media and here on the blog I have had a lot of people ask me questions about it. So, I wanted to have one place where I can address the questions about Notgrass History. 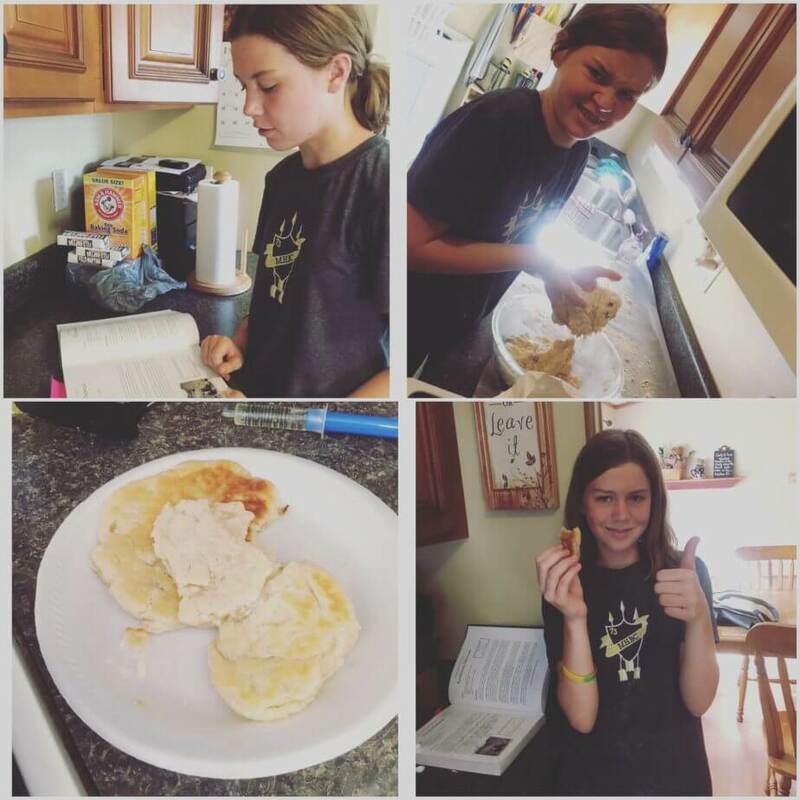 We are finishing up our first year with Notgrass History and so far it has been the BEST year of History we have had since we started homeschooling. Seriously. We like it THAT much! Because I’ve raved over Notgrass History so often on social media and here on the blog I have had a lot of people ask me questions about it. So, I wanted to have one place where I can address the questions my readers have regarding Notgrass History. Now, full disclosure, I am NOT a Notgrass History expert. I am just a mom, who uses and LOVES Notgrass History. For the official Notgrass History Frequently Asked Questions page go here. 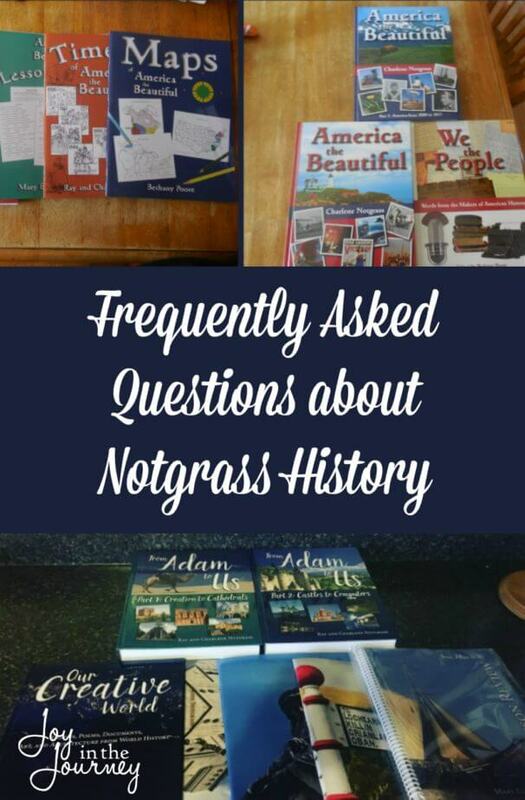 Notgrass History also has a Facebook group where it’s users can ask questions and hear back from some in the Notgrass family as well as from other families who use and love Notgrass History. Can I use this with younger children? This is a tricky question because there is no rule saying you can or can’t. However, in my opinion, I wouldn’t. Notgrass is so beautifully written for grades 5th-8th. Younger children will not get the enjoyment out of that an older child can. With younger grades read lots and lots of books from the same time period that your older children are learning about. Include biographies, books about famous structures, and landmarks, historical fiction and others that peak their interest. This is about as much history as younger children really NEED anyway. Notgrass offers an amazing literature package, use those additional readings as a family read aloud instead of having your older children read them independently. Include younger children in family projects. Because they are learning about the same time period as their older siblings they will have a basic understanding of the project and the whole family can participate in the activity. How much time does Notgrass History take? Notgrass History includes 3-6 suggested activities at the end of each chapter. 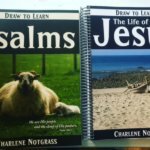 This can include vocabulary, writing, bible, literature reading, map, timeline, and workbook activities. We personally pick 3-4 of those. It takes my daughter right at an hour a day to complete her Notgrass History lesson. If she did everything I could see it taking her up to two hours. 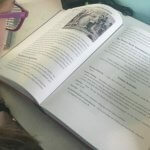 The Notgrass History guides suggest 1-2 hours per lesson. What do I HAVE to do in Notgrass History? The activities suggested at the end of each chapter are optional. So, you don’t HAVE to do anything other than reading the text. However, you would not be getting the full scope of the guide if you do that. At the minimum, I would recommend doing the map and timeline activities. If you use Notgrass History with the ages and grades recommended, YES it is completely independent. To complete the family projects, I do recommend a parent be involved. What order do I need to do the guides in? There is no particular order that the guides HAVE to be completed in. Are the literature add on’s necessary? No. We have enjoyed most of the books thus far. However, there have been a couple that didn’t peak her interest. Neither of us feels she missed out on anything by not finishing them. I do recommend trying them, though. They are a great way to get your kids to read high-quality literature. 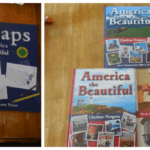 We used America the Beautiful this year, and I have been able to get all but Bound for Oregon from our local library for free. I plan on using this with more than one child, do I need do buy multiple copies? You do not need to purchase extra textbooks. However, you will need extra consumables. This includes the map and timeline books as well as the workbooks. The package set comes with two different workbooks. One is for older children and the other is geared towards the younger ages. If you are using this with 5th and 7th grade or 6th and 8th grade you will not need the extra workbook. My child hates to read, would this program work for him? This one is hard for me to answer. I truly feel that Notgrass History is a great program that could work for anybody. The textbooks are colorful and engaging and the reading sections are not too long.So, my gut says YES. But, you know your child best. If you are on the fence, I would recommend trying to see the product in person. Notgrass also has sample lessons online. You can see those here. Just click on the guide you are interested in, and download a sample lesson at the bottom of that page. I wanted to take the time to SHOW you all Notgrass History as well. So, I am answering some of your questions in this video and allowing you all a sneak peek into the Notgrass History programs we own. Do you have any other questions about Notgrass History? I would love to answer them for you! Good morning, I was wondering if you could tell me if there is a recommended schedule for how many days a week we should be working on america the beautiful? Hey Melissa! The textbook has a five day a week schedule recommended in the front of the book. However, we did not do America the Beautiful 5 days a week. We instead chose to go 4 days a week with Friday as a project/catch up day. This meant we did NOT finish the book before the end of the year, but I instead let her read the book at her leisure over the summer. Hope that helps! I am teaching Notgrass World History for a Freshman class in a co-op class this fall. I hadn’t heard of Notgrass before now. I’m not too keen on the curriculum just yet. I enjoy teaching history and this seems to be too independent for me to teach. Do you have any recommendations on how to teach this curriculum instead of just doing it all independently? That’s a great question! Are you in the Facebook group for Notgrass? You may be able to get some tips there. Another idea would be to assign reading to your class and then pull out the main points to discuss together in your co-op setting. Maybe go over the review book questions together, assign a writing assignment to the class and have them present it at co-op. Those are some ideas that came to mind off the top of my head. Hey, I teach History at a Homeschool co-op group but also am looking at teaching my son on his own and possibly a couple of other students in my home. One is in Middle school, the other 2 are going to be in High School. So this was very helpful info for the one in Middle School. Have you tried the High School Curriculum yet? Hi Ruth! Glad this was helpful to you. In regards to high school, No, I haven’t, but I have seen it. I have no reservations about using it with my oldest for high school next year. Hope that helps some!